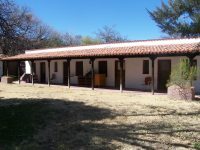 Rancho Santa Cruz - Santa Cruz County, AZ - Headquarters West Ltd. 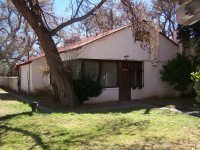 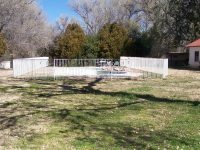 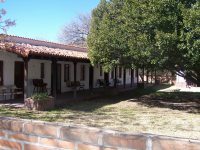 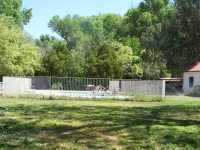 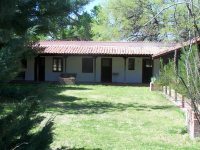 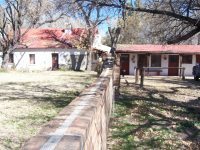 The Ranch is located 3.5 miles south of Tubac, 75 miles south of Tucson, 45 minutes from Tucson airport, and close to shopping in Green Valley and/or Nogales Arizona. 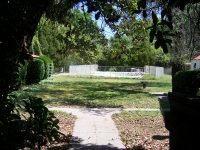 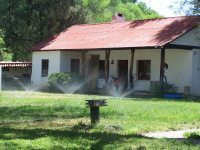 Rancho Santa Cruz is a historic guest ranch along the Santa Cruz River. 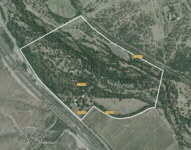 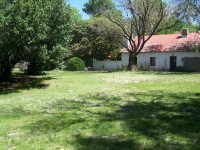 112 deeded acres with 44 acres of Bermuda pasture irrigated from wells on the property. 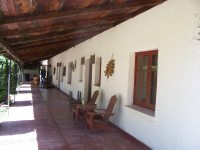 It has had a colorful past, From the Spanish army who would camp here during their exploration of the new world, to many great western actors such as Stewart Granger and John Wayne has spent time at the Ranch. 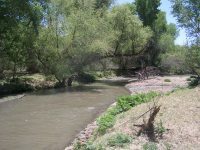 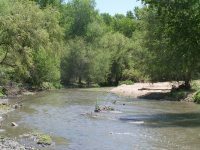 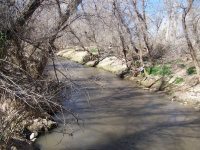 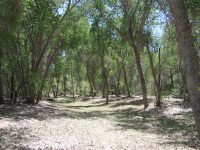 The Santa Cruz River which runs year round splits the property and provides a nice riparian area, (with huge Cottonwood and Mesquite trees) and habitat for a variety or birds and wildlife. 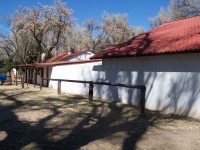 A Guest Ranch, Wedding Chapel, Children's Camp, church Retreat or Business and Conference center represent the many uses of the ranch. 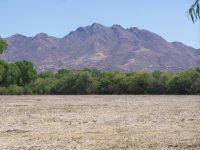 No other Property like this exists in southern Arizona.